Published on 6 January 2013. 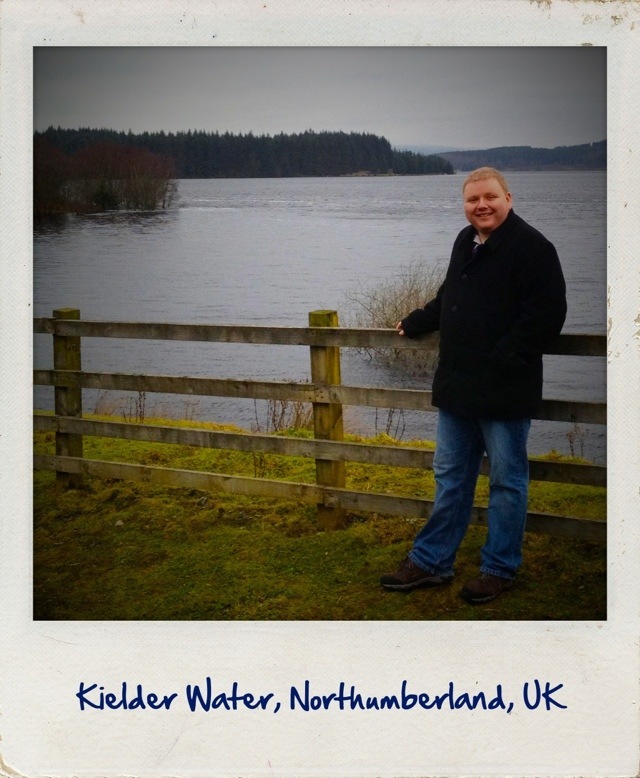 Here I am by Kielder Water, the UK’s largest man made lake. It holds 200 billion litres of water – that’s more than 3 million times what the average person drinks in their lifetime! Wendy and I had a lovely walk through Kielder Forest – Europe’s largest man made forest – which stands on the banks of Kielder Water. It was a bit chilly, though! We also had a look at the dam and hydroelectric plant, which were quite interesting to see! This 1,962nd post was filed under: Scrapbook, Kielder Water, Northumberland.